No matter the obstacles on your path today, break through them and see the light! Oh I hope not! It’s beautiful the way it is!! Just got back from a weekend getaway. First place I stopped by is your blog. Missed seeing what you’re up to! This photo is a great representation of “breaking down life’s obstacles.” The image of the rocks definitely resonated with me! I was wondering about you! Even went to your blog to see if I had missed a post! Hope you enjoyed your weekend! 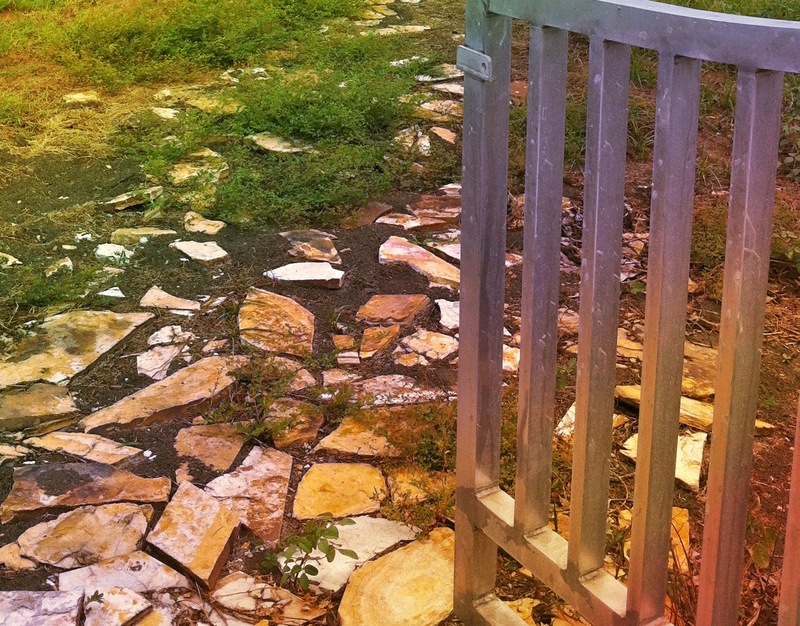 I see that gate and the rocks often and am so glad I was able to capture what I see! I entered the challenge today, but am not sure my submission went through. I’ve been have some technical issues with WordPress the last couple of days. Just in case, here’s a link to my photos. Thank you! Here’s another one for ya…. A special friend looks past your broken down gate, and admires your beautiful garden. 🙂 Love it! Happy Monday to you!